This guide will show you how to create a mobile user who can then use the Workshop Software iPhone App to clock in and out of jobs and add photo’s to jobs. **NOTE: You must add a Mobile User to access the phone app. You CANNOT use your "normal" Workshop Software login details. 1. 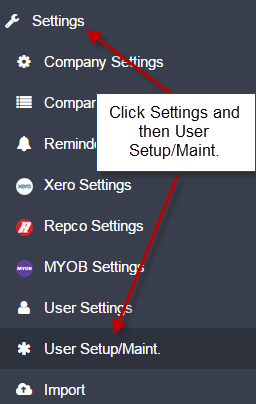 Click on ‘Settings’ from the list of options on the left hand side of the screen and then click on ‘User Setup/Maint. Choose a Mechanic, they must have already be in the system as a mechanic, please see the guide ‘How to add a new mechanic’ if you need assistance to do this. Leave Status as Active, if you want to cancel a previously added mobile user then you can make them inactive. 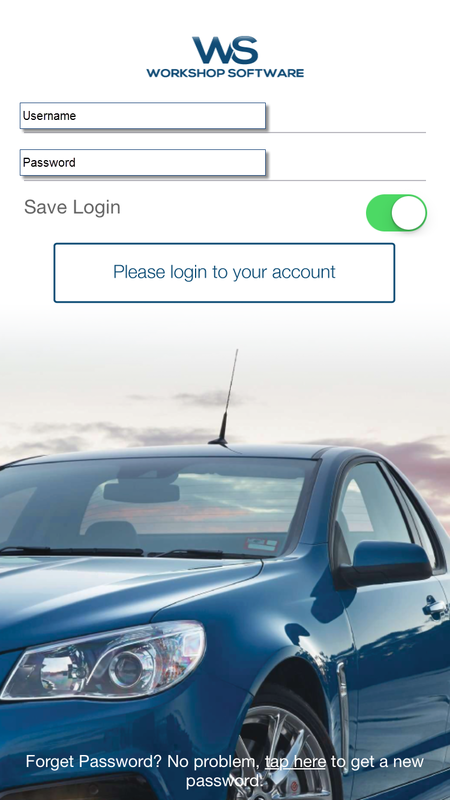 Enter an email address and password, this will be used as the login details to the app and the email address cannot be the same as the email address used to login to Workshop Software. 5. The App can be used by the mechanic to clock on and off jobs assigned to them, they can also take pictures which are then added to the job card and invoice.